Medical assisting is a career that enjoys a continuous growth in opportunities, and is largely unaffected by the post-2008 slowdown in a large number of employment segments of theAmerican economy. This has elevated the profession of a medical assistant to the high-demand zone in the job market. This high growth in the medical assisting career is visible in the state of Connecticut as well. Becoming a medical assistant in Connecticut is simple, but it takes commitment, effort, patience and the willingness to learn. The state’s medical assistants receive higher salaries as compared to most other states in the US, they have a spate of opportunities with workplace options within the health care industry, and they enjoy a good status in the society (being a health care professional,) even without a medical or nursing degree. The entry barrier for becoming a medical assistant in Connecticut is a high school diploma / GED certificate or equivalent. This is relatively low as compared to most other jobs in health care. As the basic academic qualification of completing high school has been achieved by majority of the state’s residents; it paves way for opening up the profession of medical assisting to almost anyone who is willing to spend some time to acquire knowledge, is ready to remain professionally flexible, and is willing to learn a new set of skills through classroom and practical training. The candidate will need to provide specific health information about himself, and undergo various medical tests as well. These tests include basic fitness levels, physical examination, checking for infections and infectious diseases, current record of immunizations, test for tuberculosis etc. Apart from medical information, the candidate will also be required to furnish academic qualifications, background and identity check documents, as well as a legal permit to work (in case of foreign workers). Certification for medical assistants in CT is provided through the CMA (Certified Medical Assistants) examination conducted by the AAMA (American Association of Medical Assistants.) 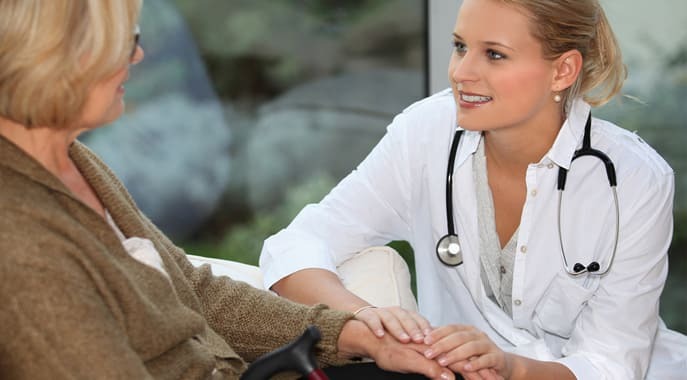 While there are various agencies who conduct the CMA examination for certification of medical assistants, Connecticut utilizes the AAMA for CMA examination and certification. The aspirant can apply for the examination through the AAMA website. On filling the form and making payment of fees, the candidate will receive further details pertaining to the CMA examination, within a span of 30 days. The exam carries two hundred multiple choice questions in three broad categories, viz. general duties, administrative duties, and clinical duties of a medical assistant. The questions must be attempted within 3 hours. On clearing the exam, AAMA will confer a CMA certificate on the candidate. This certification is nationally recognized and is valid across the US. Connecticut however, does not require medical assistants to be certified for the purpose of employment. Hence, getting a CMA certification is entirely optional. While there is no necessity in Connecticut of formal a CMA certification from AAMA, the profession requires some initial training before a medical assistant. This enables the candidate to independently contribute at the workplace. This training may be acquired at a community college, a vocational training school, or even on the job itself. Employers prefer pre-trained medical assisting candidates as they are able to immediately be a part of the team without consuming time and energy in additional training. Vocational training schools are usually preferred as they provide focused training programs of sufficient duration without unnecessary academic formalities or unrelated electives. The Medical Assistant training consists of classroom hours and practical exposure through externships in health care setups. A medical assistant can work in all types of health care setups. These include public and private hospitals, physicians’ offices, clinics, ambulatory care, tele-medicine centers, emergencies and disaster management teams, government agencies etc. A health care setup is usually hectic and buzzing with activity. Also, health care setups may typically function 24 hours of the day. Moreover, requirements during emergency cases may be particularly demanding. The medical assistant is required to be able to cope with this mental and physical stress at work. Medical assisting does not require elaborate skills in surgery or medicine, but they have to be skilled in the areas of assisting in management of a patients’ treatment. This includes an entire gamut of work, depending on the nature of the workplace. The core duties of the medical assistant are the medical duties. These include phlebotomy (drawing blood through venipuncture), sterilizing and maintaining the surgical equipments, checking and noting blood pressure / sugar levels / basic vital signs, assisting the nurse or the physician etc. Apart from the medical duties, a medical assistant would also be carrying out administrative duties. These include the front desk management (reception area), handling patients and their friends & relatives, answer the phone, key-in and manage data for administrative requirements, handle the communication ( post / fax / email ) etc. There is also a component of managing the paperwork such as filling statutory forms for insurance purposes, managing patient data, and manage electronic health records. The scope of a variety of work duties would typically be larger in a small health care setup; whereas the scope of work would be narrower in large health care setups where a bigger team of specialists and health care professionals is working together. Sometimes, medical assistants may be focused on a single area of specialized health care such as ophthalmology, pediatrics, cardiac care, endocrinology, oncology etc. Each such area of healthcare has special needs which the medical assistant fulfills. For eg., in an opthalmologist’s clinic, the medical assistant may check eye pressure or help the patients with their contact lenses; whereas in a pediatrics clinic the medical assistant may be handling little children and telling parents how to care for a sick child. Hence, while the broad nature of work remains similar, actual duties of a medical assistant change depending on the employer. Connecticut ranks amongst the top 5 states for medical assistants in the US in terms of remuneration for services rendered. The average salary of a medical assistant in Connecticut is $ 34,260 per annum ($ 16.47 per hour). More than 7,000 persons earn their livelihood as a professional medical assistant in CT.
With an aging baby boomers generation, increase in demand for primary care as well as ambulatory care, and the heavy workload of electronic health records; the demand for medical assistants is projected to continue rising consistently throughout this decade.